This is art at its best. 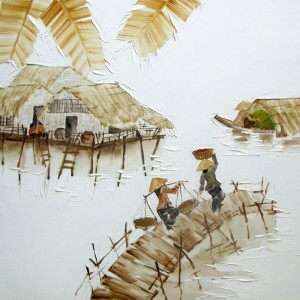 It is a stylized and aesthetic representation of rural life of Vietnam. 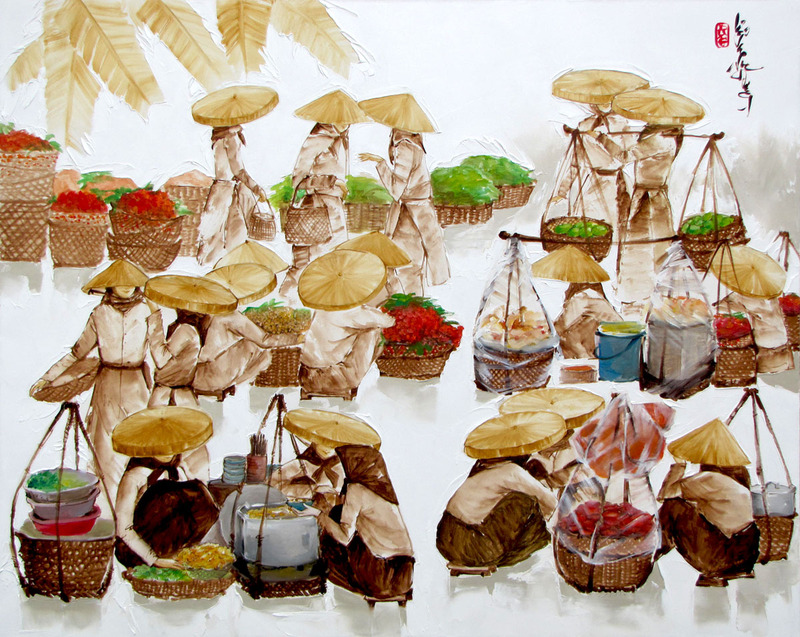 This piece presents a rural farmers’ market where the rural women gather to sell the local produce. Done in Luong Dung’s characteristic shades of browns and off whites, this composition is a good illustration of the maturity of contemporary artists of Asia.